This article will introduce a professional printer driver which can dynamically converts MS Office 97/2000/XP/2003/2007, WordPerfect, AutoCAD DWG, PostScript etc. to EMF, WMF, GIF, TGA, PIC, PCD and BMP etc. formats. 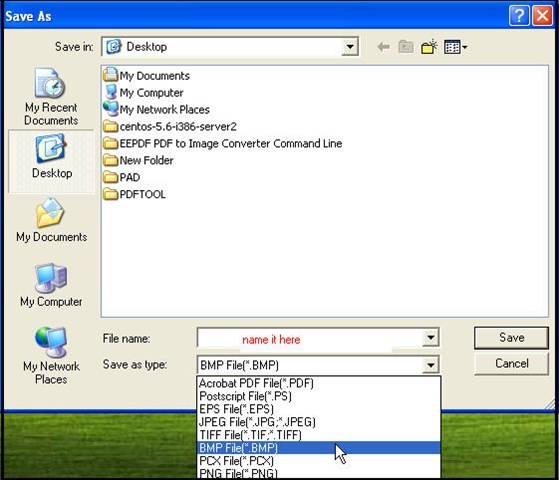 Take converting html to bmp for example to show you how to use this software. The following steps maybe can help you get a rough idea of it. 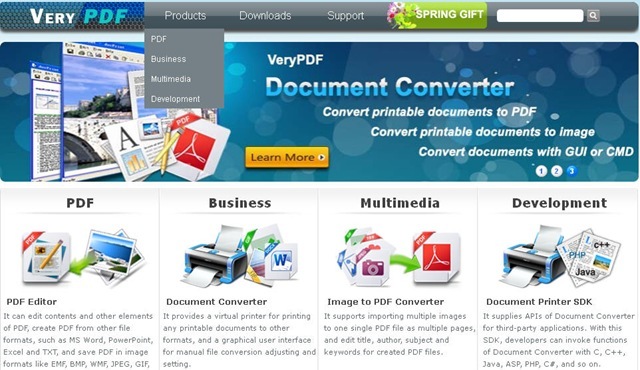 The full name of this software is docPrint Document Converter Professional v5.0 which can be free downloaded from this link: http://www.verypdf.com/artprint/docprint_pro_setup.exe. If you need to know more about it, you can visit its homage. 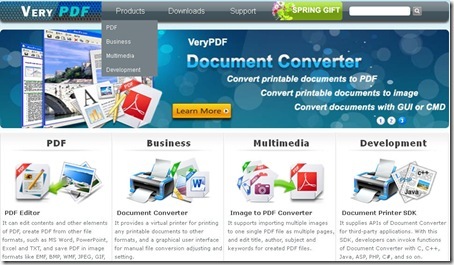 This software is a combo of document converter and print driver. When you download it to your PC, there will be an icon on the desktop. Double click it, you can enter its interface. Meanwhile its printer driver will be installed to your PC automatically. In the following part, I will focus on how to use its printer driver. Open the files needed converting. Take converting html to bmp for example. First, I need to open the html file. The following picture is the snapshot of the example html file. 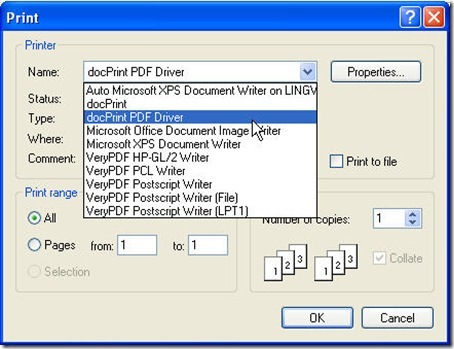 Choose doc Print Pro driver. Click File on the browser and then go to Print option. Click Print then you will enter its option menu. 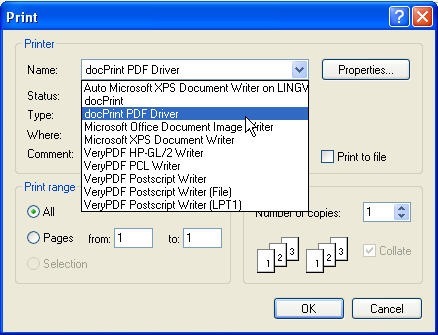 It is not hard to find “docPrint PDF Driver” in the printer list. The following snapshot can help you understand this. You can set the options for the converted bmp file. Say you can choose copies to print, choose the page range. If you have finished the setting part, you can click the button OK to finish the conversion. Maybe one or two seconds later, there will be a dialogue box named “Save as” bounce to the screen. 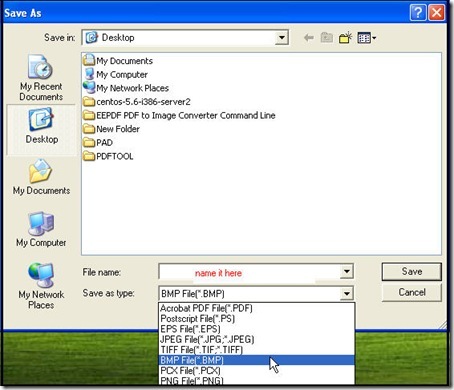 In this dialogue box, you can choose where and how to save the converted bmp file. The following snapshot can help you understand this step. By this way, you can convert html to bmp in a few seconds. If you have any question about the conversion, you can contact us by the ways on this website, http://www.verypdf.com/support/index.htm. How to convert a web page to postscript file? This entry was posted in docPrint Pro and tagged html to bmp. Bookmark the permalink.